A couple of weeks ago, I attended the launch of Michelin CrossClimate tyres in Geneva which coincided with the International Motor Show, boring you may think but the whole event was far from it. As a female driver who probably does not know as much about tyres as I should, I found the whole experience informative and came away with a lot more knowledge. 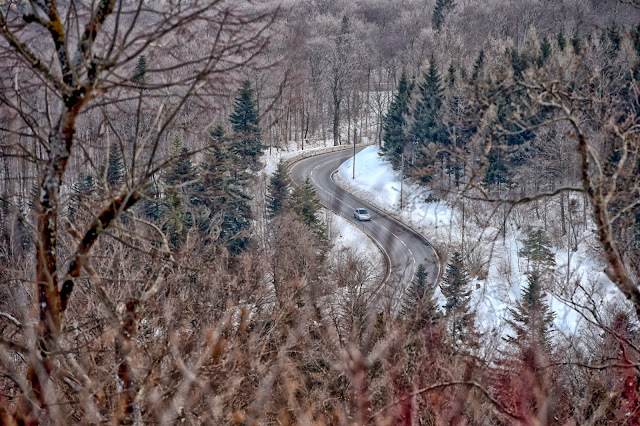 Living in the rural Peak District driving can be quite challenging at times, road surfaces continuously change especially throughout the winter months and this can lead to dangerous driving conditions on summer tyres. 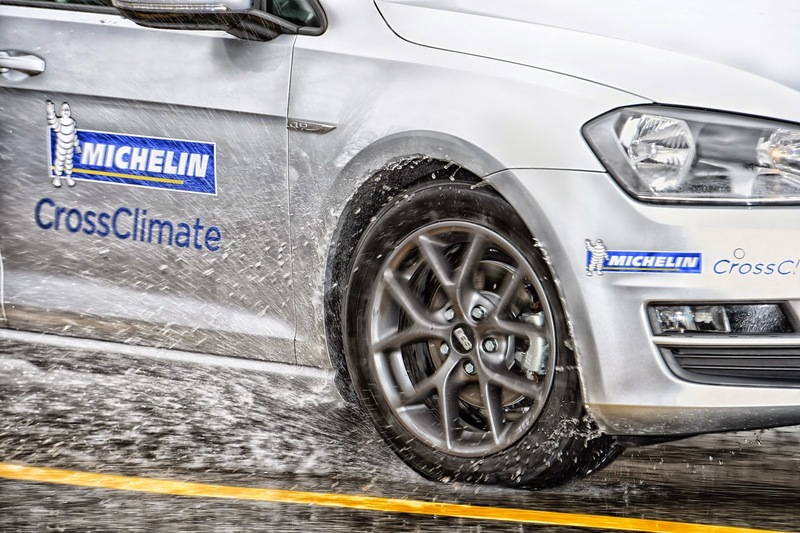 The new CrossClimate tyre is aimed at the European market where weather is unpredictable. It is the first summer tyre with winter certification and can adapt to different climates. If you are like me, you probably do not change your tyres, keeping the same ones all year round and until now I was not aware that I was putting myself and my family in jeopardy, after all would you compromise on safety and buy a cheap car seat for your child? The same can be said about tyres, summer tyres are not made for winter driving conditions, this is not just snow but colder temperatures too. CrossClimate tyres have taken 3 years to develop and have been tested in 7 countries completing 5,000,000 kilometres, which is a lot of miles. I actually got the chance to test drive a car fitted with the CrossClimate tyres on the Du Col De La Facille which leads to the Jura mountains on the France and Switzerland border, the road conditions were wet with slush and ice in places, after a pit stop in a lovely mountain hotel with lots of snow in the car park I considered these tyres well and truly tested. The car handled really well (no slipping or sliding) and road noise was minimal. 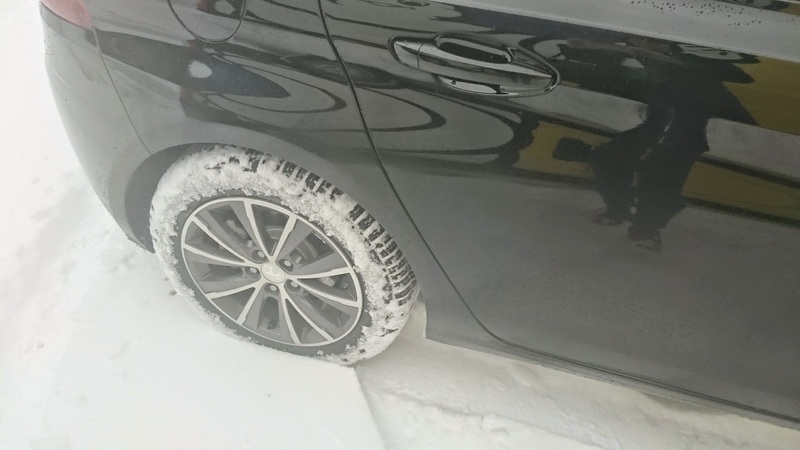 After our trip in to the mountains I was also given the chance to test the tyres on different road surfaces, comparing them with Michelin summer tyres, this involved dry braking, driving around a wet roundabout at 38km and up a snow covered slope. I was really impressed with the CrossClimates tyres performance, I actually felt so much safer driving with these fitted. 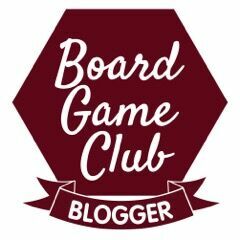 I cannot recommend them highly enough. CrossClimates will be available to buy in May to fit a range of wheel sizes from 15 - 17 inches. I'm just hoping I can talk hubby into buying me some. I would also like to say a big thank you to the guys at Michelin for taking me to this event, I had an amazing time and met some lovely people. are the best. they are really comfortable to use and I one get used to this tyres I am sure he wont buy anything else.